With demand for mining GPUs falling due to crypto market slump, Nvidia’s third-quarter revenue fell short of estimates. In addition, the company revealed its fourth-quarter revenue guidance of only $2.7B sending its share price falling by 19 percent. Even without directly investing in cryptocurrencies, Nvidia was one of the biggest winners in 2017’s crypto boom. With last year’s soaring prices of digital currencies, the company’s GPUs were selling like hotcakes as crypto miners, who were busy building their mining rigs back then, snapped up stock worth $776 million in 2017 alone. But the company’s recently released third-quarter report suggests things don’t look too good for Nvidia’s crypto-related GPU business this year. In fact, the plunging demand for chipas from the crypto-mining niche resulted in unsold inventory and declining sales that missed Q3 expectations, according to Reuters. The chipmaker released its third quarter on Thursday, November 15, 2018, which showed the Nvidia missing revenue expectations. According to CNBC, the company only posted $3.18 billion in revenue which is $100 million short of the $3.24 billion expected by analysts. But what worried investors, even more, is the company’s guidance for the fourth quarter. Nvidia expects revenue to be around $2.7 billion, which is $700 million short of the previous consensus estimate of around $3.4 billion. Naturally, investors were not too happy with the company’s forecast. Nvidia’s stock price promptly fell by 19 percent after the report was released. The figure is not too surprising for those who have been following media reports on the company. 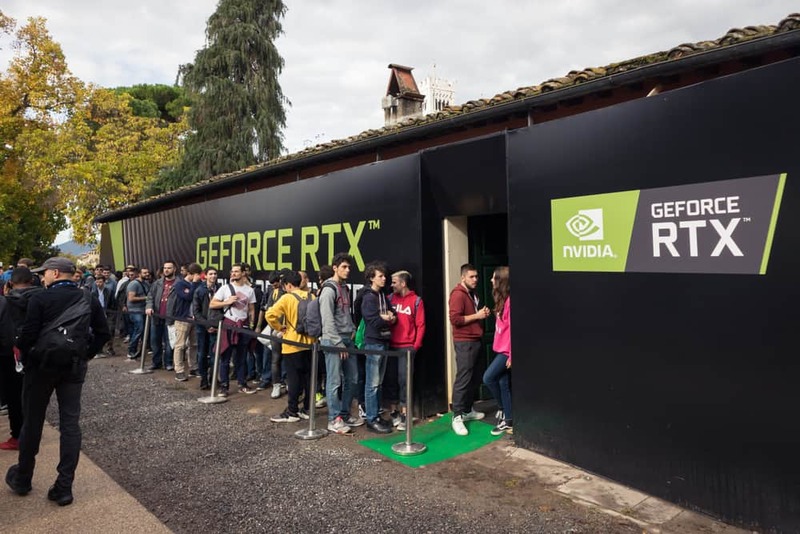 Previously, Christopher Rolland, a semiconductor analyst from Susquehanna, even predicted that Nvidia’s crypto-related revenue for the third quarter is “likely close to zero,” according to a report by CNBC. The reason for the declining GPU demand from crypto miners is that mining is no longer as profitable as it once was. In fact, mining the cryptocurrency Ethereum is no longer profitable at all, according to Susquehanna’s analysis. Just this summer, mining ETH using rigs containing GPUs would earn around $150 per month. But if the same mining rig is used to mine ETH this month (November), it will only be a break-even operation. Meanwhile, mining the world’s largest crypto in the U.S. is not as profitable as before. Based on Elite Fixtures’ compilation of mining costs all around the world, miners running their operation in the US will need to spend an average of $4,758 per Bitcoin mined, according to a report by Fortune. Unfortunately, Bitcoin’s price, along with the rest of the market, has recently plunged and is now trading at $5,630 as of this writing, which makes its mining profit margin even tighter.